Themed parties are an awesome excuse to dress up like the characters from Mad Men, or a pirate, or even eat an insane amount of Flamin' Hot Cheetos. 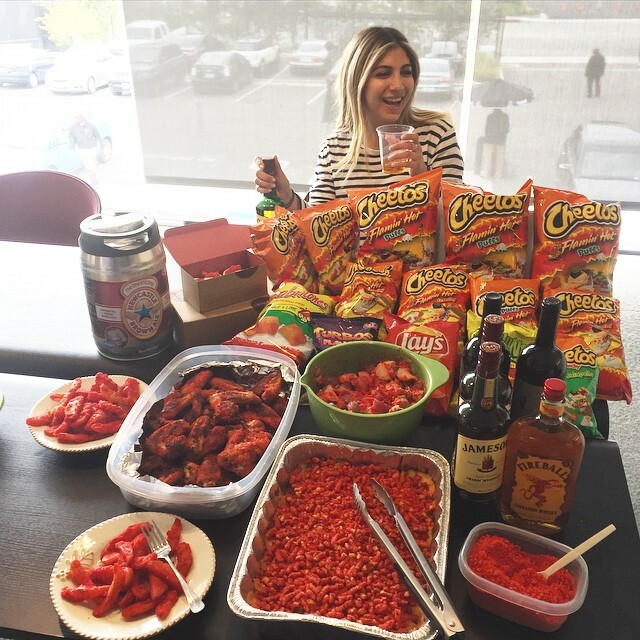 This group of friends was obsessed with Flamin' Hot Cheetos, so when it came time for an office party, they did it in the spiciest way possible. Spearheaded by Matthew Knapp of Thirsty Eats, the crew made all of its dishes with Hot Cheetos. The potluck included Flamin' Hot Mac & Cheese, Flamin' Hot Fries, Flamin' Hot Chicken Wings and a Flamin' Hot Potato Salad. They even made Flamin' Hot Cheetos Ketchup to dip the fries in and Flamin' Hot Cupcakes for dessert. They didn't go as far as making Flamin' Hot soda, or Flamin' Hot juice, thankfully, but they did have a bottle of Fireball to complete the spicy meal. Most of the meals were covered in Hot Cheetos dust, except for the mac & cheese, and cupcakes which had a layer of whole Hot Cheetos on top. 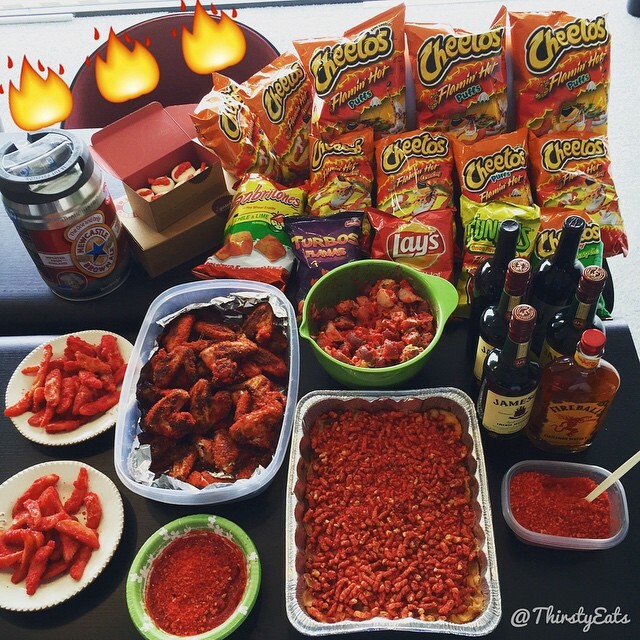 If you thought those dishes weren't fiery enough, they had a stack of Flamin' Hot Cheetos, Flamin' Hot Funyuns, Flamin' Hot Lays, Turbos Flamas, and Sabritones bags to snack on after. This had to be one of the hottest parties of all time, but it's still not as hot as my mixtape.